I’ve always had a soft spot for Utah Saints… bit on the cheesy side I know, but 20-odd years ago, when they were still called MDMA and I was still a long-haired gothy grebo type, they gave me a lift while hitchhiking once. London to Sheffield in two hours cos they’d rented a flash car for the day, having just signed their first record deal. Happy days! What with hype sheet talk of support from Garnier, Hawtin, Loco Dice and Nic Fanciulli, I was expecting this to be a bit techier and tuffer than it really is. What you actually have, though, is a pretty groovy, deep-ish houser with tinges of both disco and jazz – just the way we like it. There are six mixes on offer. As is so often the case lately, it’s the Nima Gorji Remix I’m feeling the most, though props must go also to Javi Murdok & Jose De Divina for their slightly deeper rub, and to the two ‘breaks’ mixes which aren’t ‘breaks’ in the sense of they’d get reviewed on the breakbeat pages of magazines, just that they’re deep house based on a funky, James Brown-ish breakbeat rather than a 4/4 kick. Normally a release from an artist of Mr Heller’s stature would have to go in iDJ rather than on here, but this came in WAY too late. But that’s good in a way cos I’m not limited to 40 words for telling you how good it is! About: If you don’t know who Pete Heller is then I’m very surprised you’re reading this… but just in case, or if you’re just in a clickin’ n’ readin’ kinda mood, here’s his Wiki entry. This particular slice of 303-based jollity comes atcha on Heller’s own Phela Recordings. 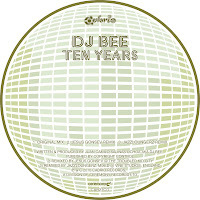 Seems like a while since I’ve reviewed anything on here from the Ceremony/Cabrio stable, so let’s rectify that forthwith with a peep at this new offering from DJ Bee, AKA Juan Camilo Salinas Ochoa. Out: This week just gone. Like everything else I’ve reviewed today. About: This is on Cabrio, which is an offshoot of Ceremony and I’ve never really worked out what the difference is between the two! Anyway, they’re based in Estonia and run by Dave Storm, as I’m sure you already knew… if not, head over to their website for some education. The Street King label was set up by King Street to put out more electronic-sounding house that wouldn’t sit so easily on King Street or Nite Grooves. As a long-term fan of both it’s no surprise then that most Street King output to date has left me cold; this, however, is probably the imprint’s best to date. King Street describe it as “for fans of Plastic City, Asad Rizvi, the tech side of Dennis Ferrer”, and I’d say that’s a fair enough assessment. 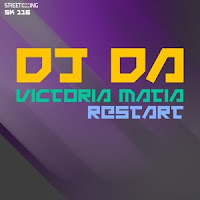 Victoria Matta itself is a tough, electronic, slightly proggy groover that builds and builds to a proper brain-melting, big dark room crescendo in the middle. On the flip, Restart starts out as more of a low-slung, down n’ dirty kind of affair, before introducing first layers of percussion, and then some ear-piercing synths. Not sure I’d actually play either, to be honest, but both tracks are good examples of this genre of house and would go down a storm at (eg) DC10. Never let it be said that This Is Why We Dance is narrow-minded! 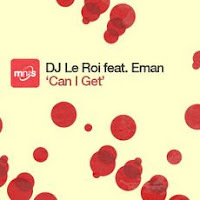 While we’re on the subject of MN2S, should also tell you about this team-up from a pretty heavy-hitting twosome, Switzerland’s DJ Le Roi (something of an MN2S regular) and New York’s E-Man (best known for his Steely Dan cover Caves Of Altimara and of course providing the vocal for Jon Cutler’s It’s Yours). Can I Get is another deep house affair, but from that end of deep house that veers into soulful (as opposed to the end that veers into techy, or the end that veers into downtempo/chill-out). Hard to know what else to say about it cos it’s its very understated-ness that’s it’s main selling point, and while the mixes do vary, they vary in a way whose subtle nuances really need to be heard to be appreciated. There’s five of ’em, though, and I’d back the Fade-In Mix for dancefloor action, even though I think I slightly prefer the Snub Mix from a listening point of view. All the mixes feature, vocal-wise, just a repeated ‘can I get a…’ snip and some occasional heavily-treated background vox, buried way down in the mix, that kind of remind me of Tina Moore’s Never Gonna Let U Go. About: This is one of the deepest offerings from the MN2S mothership for a while… and here’s the website. Some slightly tuffer, techier vibes here. Only slightly, mind. Davide Zeta and Claudio Basile both hail from Italy, but are based in London. Here they serve up three tracks for MN2S imprint 1 Trax, and all three have enough in the way of driving beats and fat-arse basslines to suit a range of deep house, tech house and who knows, maybe even techno floors. Oasi is slightly more housey than the other two, L.y.t.e is a little bit techier and La Revolucion features a smattering of Spanish vox, but that’s about all I’ve got to say – not feeling particularly eloquent today, sorry! It’s a good EP, though. 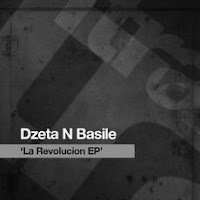 About: As stated this is on 1 Trax, and DZeta & Basile themselves I’ve just told you about. The 1 Trax/MN2S website can be found here. Out since Monday, this is an excellent deep house three-tracker all the way from Russia. 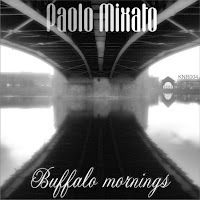 Can’t tell you huge amounts about the artist or the label, but I can tell you that Kiraro’s Mornings, Buffalo Street and Greta Garbo are three sterling slabs of dancefloor-oriented deep house action. Kirara’s Mornings stands out, fusing techy grooves with garage-y vocal snips in the way that’s so popular in Deutschland right now, and kind of reminding me of vintage Strobe material. But the deep disco of Buffalo Street comes a close second and the 2020-ish Greta Garbo is no slouch, either! 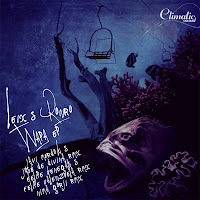 About: As stated, this comes from Russia, more specifically from the beautiful city of St Petersburg and more specifically still from fledgling St Pete’s label Konura (this is only their fourth release). Find out more by visiting their website and MySpace. After the Diynamic EP (below), here’s another sometime Diynamic artist, Coyu, this time with a release on newbie label (this is their fifth release) 7 Oz. 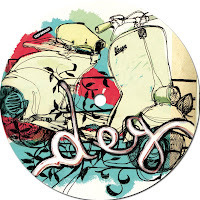 The D.E.G EP gets off to a flying start just by having a picture of a Vespa on the label – I do like scooters, me – but that’s not the end of the good news, thankfully. Put the needle on the record, as they say, and you’ll find D.E.G is right lively little rumpshaker of a tune, funky and musical enough for house floors but upbeat and driving enough for techno floors too (I’d warrant, I’m not saying I’ve tried). The original’s all about the crisp beats, rumbling bass and eastern-sounding trumpets, the Brothers Vibe Vibed Piano Dub shouldn’t need much explaining (and is my pick), and Matthias Mesteno’s mix is a more understated, deep techno-ish kind of affair. Something for a range of jocks there, then. The latest from Solomun’s label Diynamic is this four-track sampler showcasing some new names – Julien Sandre, Furrr & Hazendok and Markus Homm – alongside the much better-known Acumen. The artists involved come from France, Holland and Romania, but the overall feeling here is deep house that’s roughly 2/3 Berlin to 1/3 San Francisco. Homm’s rumbling Gone To Soon (sic) could certainly be thus described, anyway. Furrr & Hazendonk’s Rupert is more on a West Coast kinda tip, with a little nod to Chicago – the kind of thing you might expect to hear on Salted or Loveslap! –while Acumen’s Nice Victory is a touch more electronic and German-sounding. About: This is on Diynamic, as stated – click here for the website.